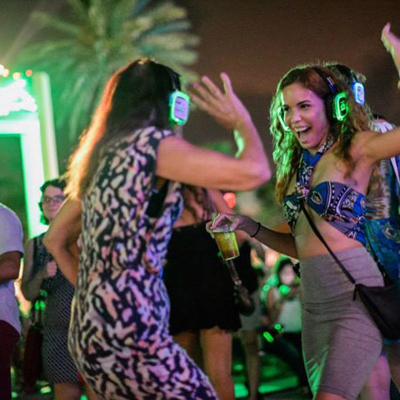 You’ve heard of silent discos and silent yoga, now tune your ears to the literary stylings of silent poetry disco. Relax in our Silent Poetry lounge with amazing poetry curated by the Academy of American Poets. Grab a set of headphones, take s eat and browse between three channels of simultaneously spinning poetry to find your favorite genre. Blue Channel – Poetry of the Ocean / Red Channel – Spanish Poetry / Green Channel – Classic & Historical Poetry.